Life Design is a beautiful new approach to traditional coaching that combines motivational goal orientated focus with the benefits of supportive counselling, both applied through a creative platform to deliver outstanding results. Traditionally, a distinction has been made between counselling and coaching that has for the most part meant that clients are treated very differently depending on the service they choose. New Leaf has developed a completely new service based on the needs of the businesses we work with, taking counselling skills into completely new arenas. This new structure allows for a leap which integrates coaching and counselling in a very new way by offering a creative platform to help individuals achieve their goals or desired improvements. The model gives a creative but practical way of working with both our inner and outer realities. It helps us to connect with our inner selves and the energy in the world surrounding us, the energy that is impacting on how we think, react or behave. This way of working can also help us to identify the deeper patterns which keep us locked in cycles of behaviour. It offers a dynamic way of moving forwards. The Life Design model gives us a vehicle to explore a range of feelings, and to understand how your past is influencing your present. This model works on the more intuitive and creative aspects of our nature and both the non-rational and rational aspects of ourselves. It helps us to reconnect with ourselves and in doing so, better connect within our workplace. What can it help individuals achieve? We can help people map their Life Design process both personally, and in their working life. By working with us and using this creative tool, we can help them reach goals and aspirations in a new and safe way. Just as an artist has no choice but to express their lives through their creativity, then so your employees express their lives through your business. Employees often have large workloads and deal with complex issues alongside managing their personal lives within an uncertain fluctuating environment. Using Life Design can help them develop resilience and free up more of their creativity to help within their working and personal lives. Tapping into our creative mind allows for new ideas to emerge, insight to awaken, inspired through the imagination rather than through logic or reason. It allows for us to have fresh perspectives on challenging problems and think of new and innovative ways to move forwards. In one word “empowering” – Life Design Coaching has really helped me to come into my own. Life design coaching is a vehicle to self-achievement. The sessions are a valuable opportunity to identify themes and to formulate a plan of action. I am less anxious and less driven to please others before pleasing myself. A change of direction from counselling and a focussed way to evaluate where you are and where you want to be. Life coaching has been a very positive experience for me and has helped me to be more confident. Bespoke to my needs and in a welcoming and comfortable environment. It has been a very personal, creative and fun process. The focus was always on what i wanted to work on and they really helped me work on some old patterns and integrate them. It’s been a step forward on my journey, leading me to explore new paths. The coaching has been the best I have ever attended. 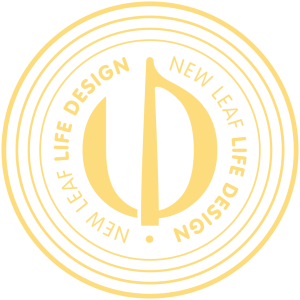 I would highly recommend Life Design. I have come far in 5 sessions. In 2009 Becky Wright – a well-respected counsellor and coach and founder of New Leaf – was invited to deliver a 2 year programme of Workplace Employee Coaching for NHS Haringey / NHS Islington. During this experience of coaching many individuals, who worked in what was an extremely intense and demanding environment, it was clear to Becky that a fusion of Coaching and Counselling – two very different disciplines – would deliver far better results, both for the individuals and their employer. 97% of the objectives chosen by the participants in their first session were met by the Workplace Coaching Programme – nearly 60% met ‘very’ or ‘extremely’ well. The cohort felt between 60% and 90% more positive about workplace development against all evaluation statements after five coaching sessions. In terms of personal development, responses show that the impact of the coaching programme was 100% positive. More than 60% of line managers taking part in the evaluation saw real benefits against all outcomes ‘on the ground’, with the greatest improvement in areas such as team working, positivity, confidence and leadership. There were NO recorded negative effects. Managers noted even greater benefits for staff in the area of personal development, with positive changes of up to 85%, most particularly in morale and positivity. For more information please see the Workplace Coaching Evaluation report. All reports are independently evaluated. Becky continued to work to break down the barriers that separate counselling and coaching and has successfully brought to the world a vastly superior approach. The creative nature of Life Design was deeply explored and developed and put to the test directly by working with a wide range of visual artists. Focused on achieving an individual’s specific goals, Life Design also holds and brings to the table all that the person is, all that they have experienced, in a manner that serves them and their objectives, regardless of their field. This makes Life Design Coaching a powerful means through which we can grow, for those working in both large organisations through to the self-employed individual.